SUNDAYS: Worship at 11:15 a.m.
Second Presbyterian is a progressive, Christ-centered church where everybody feels welcomed. Second Presbyterian Church is designated "Historical Site Number One" by the Presbyterian Church of the United States. 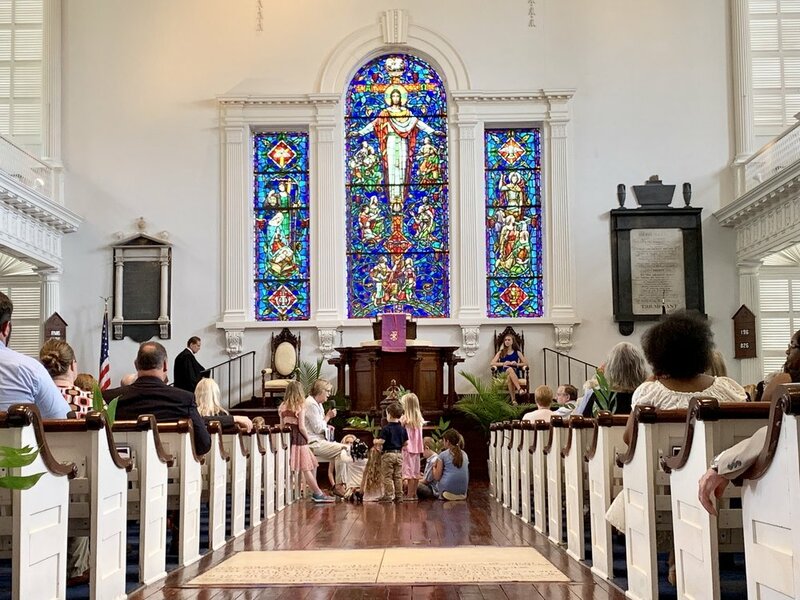 For over two hundred years, the light from the steeple of The Second Presbyterian Church of Charleston and Its Suburbs, as it was named in 1809, has been a beacon providing direction for sojourners on the sea and the sea of life. As we move into our third century, we are committed to serving our still-creating God in ways that are yet to be imagined! I invite you to join us for Sunday School and Worship on Sunday, or during the week for fellowship, service, outreach and education as we engage God's world guided by God's Word. You will find an historic congregation known for its friendliness and its heart for service to God’s created. Second Presbyterian is a progressive, Christ-centered church where everybody feels welcomed. We are rooted firmly in the Reformed tradition. We are an inclusive, multi-ethnic, inter-generational church growing and evolving to joyfully face the challenges of a world so in need of Christ's teaching, love and inexhaustible grace. Please let us know if we can be of assistance in any way. If you’re looking for a church where your doubts are respected and your questions taken seriously, where you are encouraged to participate and where you can make a difference, I invite you to consider Second Church - brimming with life, community and outreach in response to the love and grace of God. Please take a few moments to poke around and discover who we are and what we’re up to.